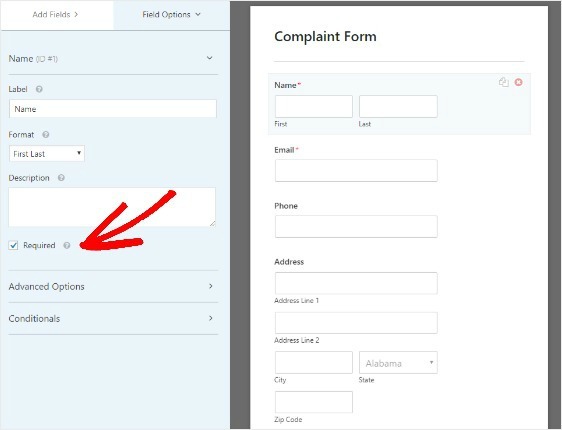 Need to create a complaint form in WordPress? Using WPForms is a really easy way to collect problems customers, employees and site visitors have had with your business to help make it better and improve customer or employee satisfaction. 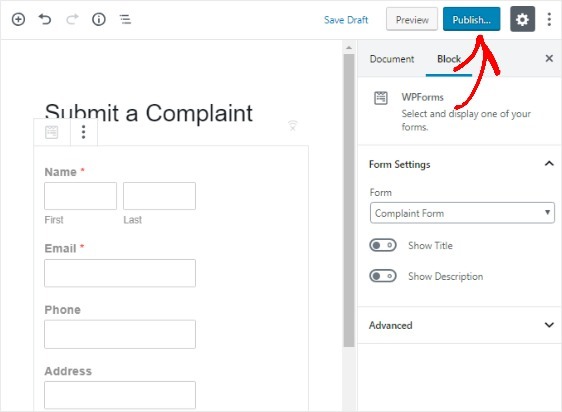 In this article, we’ll show you how to create a complaint form in WordPress using WPForms. What Is a Complaint Form? A complaint form is a way to discover possible areas of improvements for your business while letting your site visitors feel heard by gathering important feedback directly on your website. Complaint forms can offer a private way for your audience to submit information online about issues with your products and services, as well as problems your employees may have. Get Feedback on Products and Services. A customer complaint form can provide an opportunity for you to figure out what’s bothering your customers about specific products and services. You’ll be able to find ways to help make your customers happier. Create Strong Customer Relationships. A generic complaint form can help you better understand your customers while gathering useful tips to follow up on. Make Employees Feel Better. Your employees want to be heard. Letting them start a discussion on their end can help you dive into possible workplace issues and start an important conversation. Track Employee Behavior. A workplace complaint form can help you get a better idea of how employees treat each other, so you can stay on top of possible issues and keep your team on their best behavior. 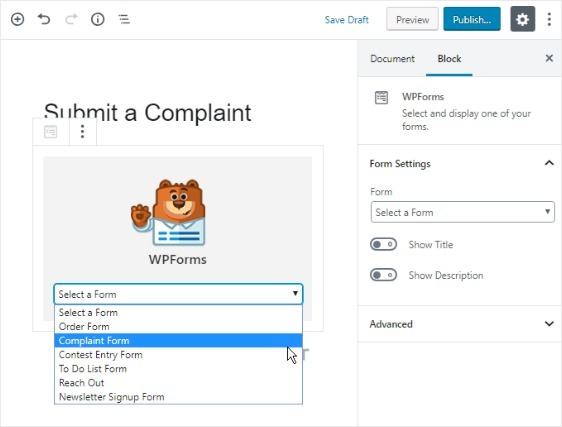 Plus, creating a complaint form online is super simple when you use WPForms and the Form Template Pack Addon. This addon lets you choose from 100+ pre-built templates for every niche and industry, including a customer or employee complaint form template. Now, let’s take a look at how to create a complaint form in WordPress. 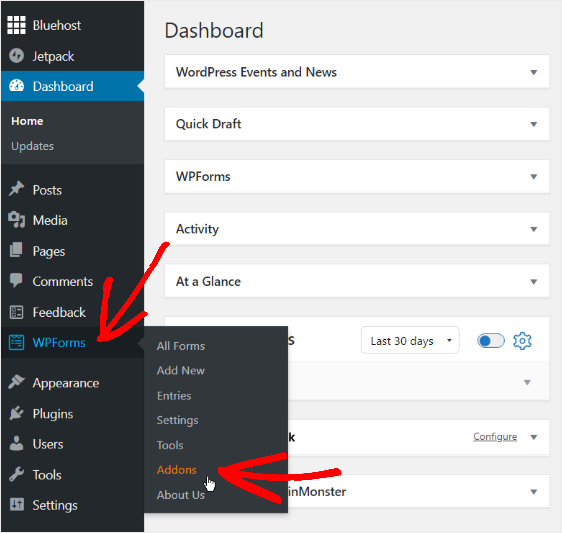 Using WPForms is the easiest way to create a complaint web form in WordPress. To do this, go to WPForms » Addons. Next, use the Search Addons bar and type Form Templates Pack Addon. Now, click Install Addon and then Activate. At this point, you’ll need to create a new form. To begin, go to WPForms » Add New, and name your form. Then, scroll down to the Additional Templates section and type “complaint form” into the search bar. Hover over Complaint Form and click the Create a Complaint Form button that appears. Once the pre-built complaint form template loads, you’ll notice most of the work is already done for you. This is the page where you’ll start to customize your form. If you want to see the complaint form template in action, check out our complaint form sample demo. This complaint form format gives you a good starting point to customize your form depending on the type you’re creating. An employee complaint form may need to ask different questions than a customer complaint form, so you have the option to customize your complaint form. To make any changes to a field, click on the field in the right-hand panel. You can also drag the fields to rearrange their order on your complaint form. For example, you may want to accept anonymous complaints through your form because you’re collecting general information and not planning on following up with people individually. To do so, simply click on the Name field and deselect the Required checkbox so that entering a name into the form when filling it out is optional. 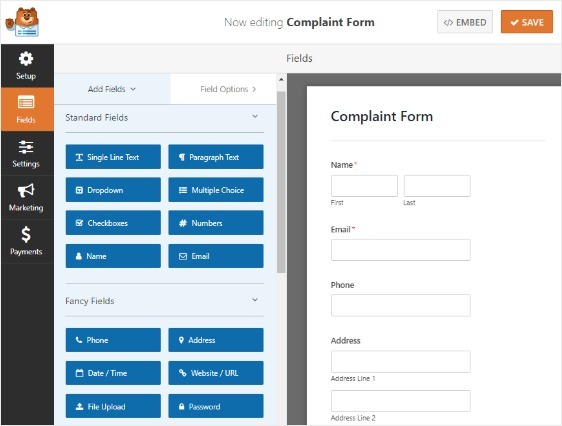 You might also think about adding a Multiple Choice form field to your complaint form template so your users can pick the specific department or service they had a problem with. If your customer ran into an issue with your product and they want to send you an image with their complaint, you can add the File Upload form field to your complaint form. Complaints can be serious, so you can also give your visitors the option to receive a personal call from you or your customer support team at a time that works for them by adding another Date / Time field to your form. Using the WPForms Zapier Addon, you can integrate your complaint form with your Google Calendar to have the form information automatically added so you’ll never miss a scheduled call. When your complaint form looks the way you want it to, click Save. To begin, go to Settings » General. Form Name. Rename your form. Form Description. Give your form a description with details about it. Submit Button Text. Customize the text shown on the submit button. Spam Prevention. Enable the anti-spam honeypot feature to prevent spam complaint form submissions and keep your website secure. You can use this default feature alongside other types of spam prevention such as recaptcha. GDPR Enhancement. You can disable the storing of entry information and user details, such as IP addresses and user agents, in an effort to comply with GDPR requirements. Notifications are an excellent way to known when someone submits an entry to your complaint form. To get an email when someone completes your WordPress complaint form, you’ll need to set up form notifications in WordPress. Unless you disable the notification feature, you’ll get an email notification whenever someone submits a complaint on your site. You can also send multiple notifications when someone completes your complaint form. For example, you can send a notification to yourself and anyone else on your team that might need access to the information submitted in the complaint form. Also, if you use smart tags, you can send a notification to your site visitors once they finish your complaint form to let them know you received it. You can add important information to this email notification if you’d like. For instance, you can mention when people can expect a follow-up to their complaint. For help with this, check out our step by step guide on how to send multiple form notifications in WordPress. Also, you have the option to easily brand your notification emails by adding your logo or any image you choose in the custom header image area. The logo/image you choose will show up at the top of email notifications. This example has a grey background, but you can change the color to something else if you want. These personalized tweaks can make your email notifications look more professional and give them a personal touch. 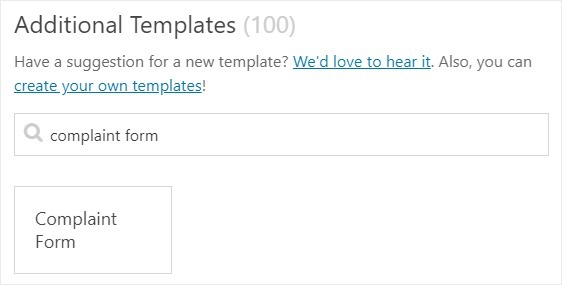 Check out our guide on adding a custom header to your email template. Form confirmations are ways to take action immediately after your audience has submitted information to your complaint form. For help with this step, check out our tutorial on how to setup form confirmations. Message. This is the default confirmation type that appears after someone hits submit on your form, and it’s customizable. Check out our tips on ways to customize your confirmation message to boost your site visitors’ happiness. Display Page. Automatically send users to any page on your site. Redirect. Useful if you want to take the user to a different website or specialized URL for more complex development. After you’ve created your complaint form and changed all the settings to your liking, you need to add your complaint form to your website. WPForms lets you add your forms to multiple locations on your site, including your pages, blog posts, and even sidebar widgets. Let’s take a look at the most common placement option: page/post embedding. To begin, create a new page or post in WordPress. 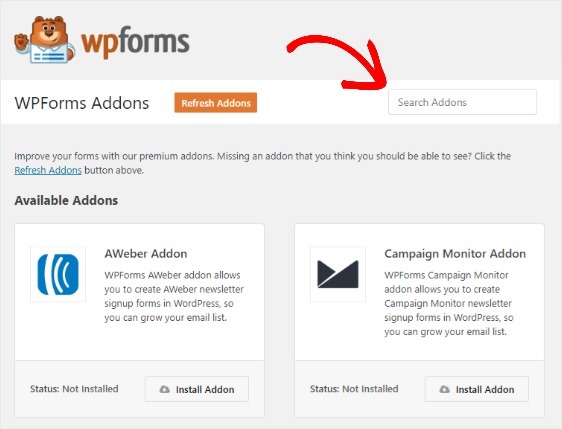 Then, click inside the first block (the blank area below your page title) and click on the Add WPForms icon. 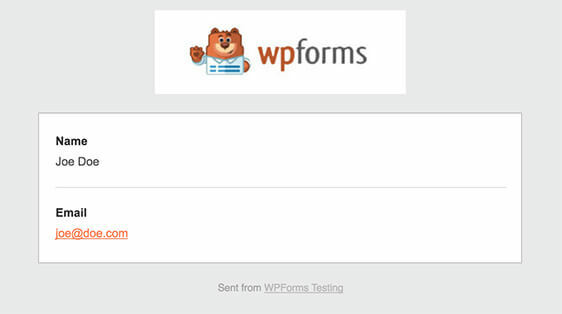 The handy WPForms widget will appear inside of your block. 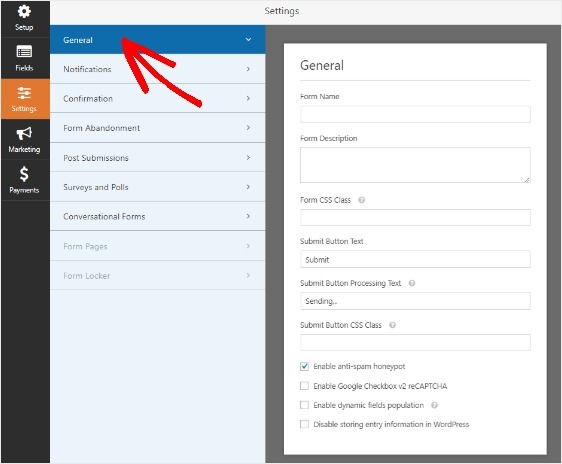 Click on the WPForms dropdown that appears and pick which one of the forms you have already created that you want to insert into your page. Select your complaint form. Next, publish your page or post so your form will appear on your website. That’s it! 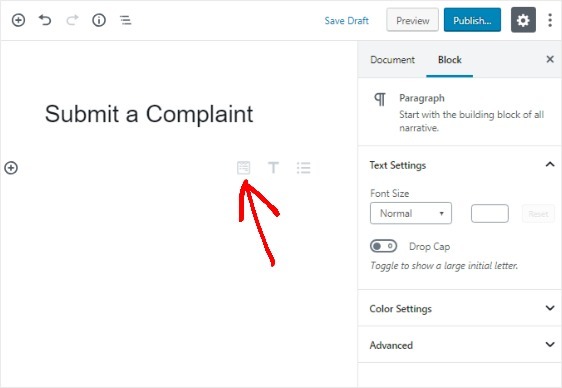 You now know how to create a complaint form in WordPress. If you find you’re not receiving email notifications, you should check out our guide on how to send emails in WordPress using SMTP. This Article is really helpful in creating the form using WordPress. It’s easy and user-friendly. I apologize but I don’t quite understand your question. Can you please clarify? Or, if you have a paid WPForms license, please feel free to contact our support team.